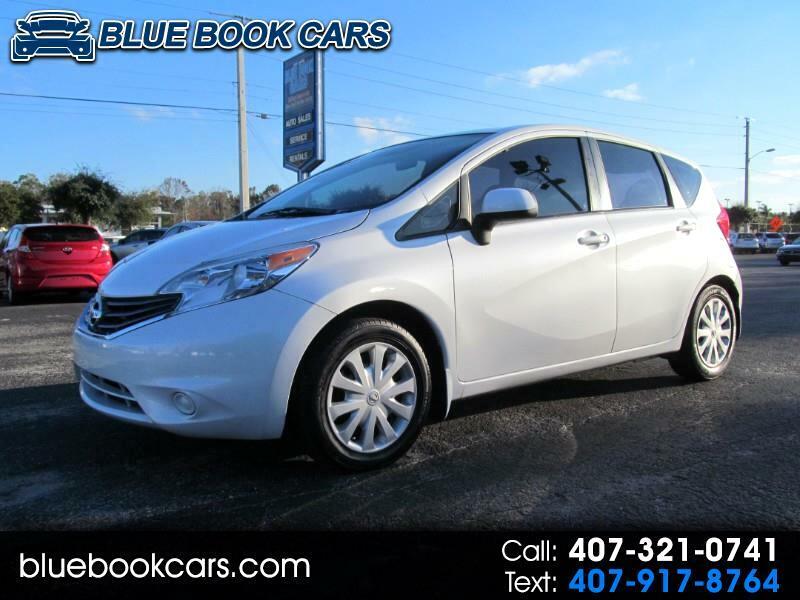 2014 NISSAN VERSA SV 1.6L I-4 SMPI... BLUE-TOOTH ** NO ACCIDENTS REPORTED ** BUY DIRECT-BUY BLUE BOOK! Automatic transmission w/ O/D. MPG City 31 Highway 40. This 2014 Nissan Versa SV has everything your looking for - Blue-tooth - Power windows, locks, mirrors - Great gas mileage - Cruise control - Auxiliary audio input - plus much more.. Visit bluebookcars.com for our complete inventory. Great rear passenger leg room. Best in all the gas sipper sedans on the market. Welcome to Blue Book Cars, serving Central Florida for over 44 years! Call 407-321-0741. We have over 20 top lenders ready to compete for your loan, serving ALL credit needs including first time buyers, or those with limited or no credit experience. Internet prices are cash or 740 and above beacon score for financing, must have copy of ad at time of purchase.